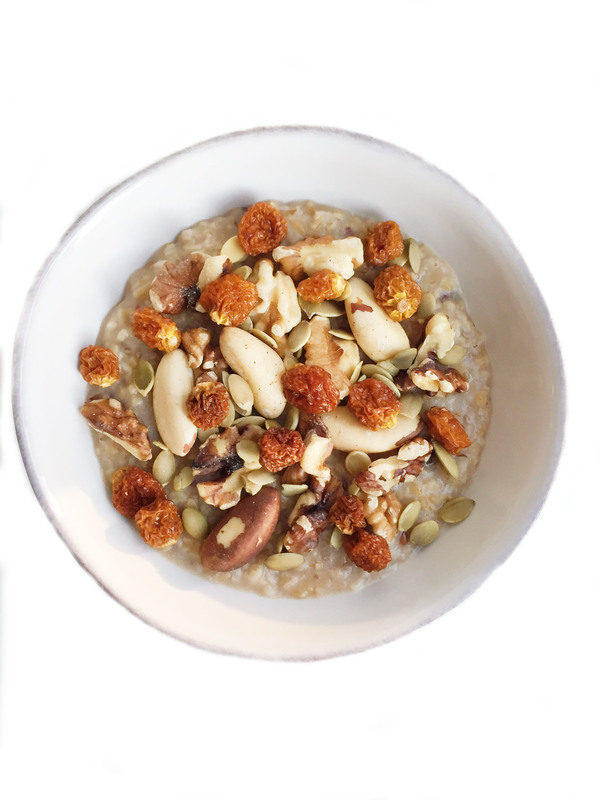 Steel cut oats sweetened with the natural flavors of dates. I used to hate dates. Like seriously not like them. I didn’t understand why anyone would eat something that didn’t look appetizing and looked like a stale raisin (sorry dates). But now, I am OBSESSED with how many different things I can use dates for. You can find dates in my bliss balls, chocolate peanut butter eggs and now my Date Sweetened Oatmeal. Since it’s been seriously freezing in the mornings in NYC, I have been waking up wanting something warm and comforting to start my day with. 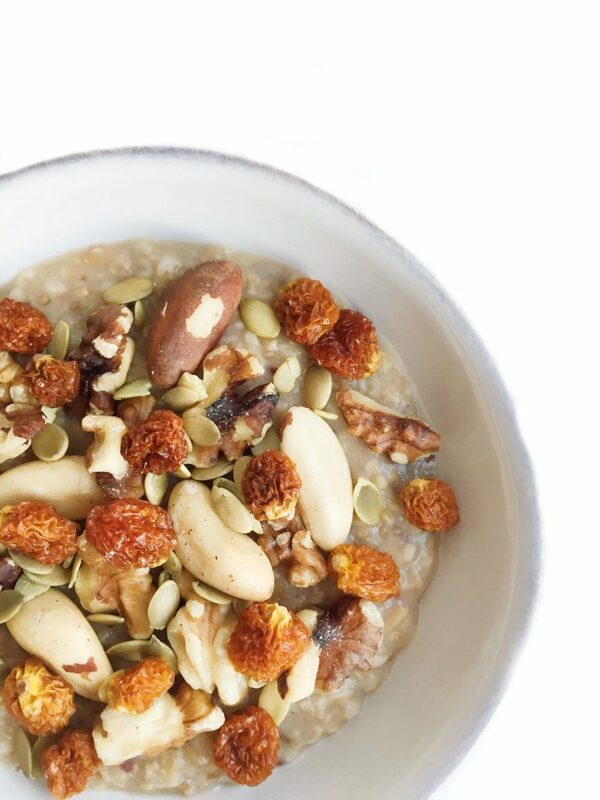 Date Sweetened Oatmeal is a very easy recipe to make in the morning or the night before to have for breakfast (or lunch if you are like me and will eat oats whenever). For Date Sweetened Oatmeal you will need: steel cut oats (or any oatmeal you prefer), almond milk & pitted dates, vanilla extract, cinnamon & of course any toppings you’d like to use. I put brazil nuts, pepitas, walnuts & golden berries on mine and the flavor combination was on point. Plus it’s a hearty meal to fuel you in the morning with the ideal amount of fiber, carbs, protein & healthy fats. You’ll notice I rarely use steel cut oatmeal and many of you ask me what I prefer. I find old fashioned oatmeal to be the most versatile and the best for a majority of my recipes, especially overnight oats and bliss balls. When I make oatmeal over the stove, I prefer steel cut oats. But of course this is just my own preference, there’s no right or wrong way to eat your oats! This looks AMAZING Rachael! I cannot wait to give this breakfast a try!